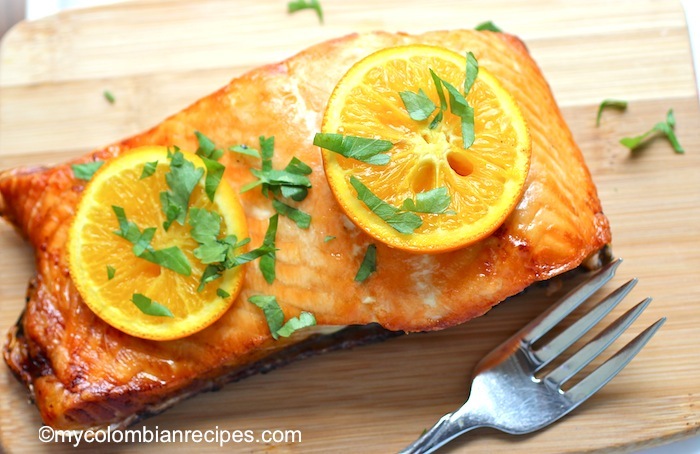 Simplicity is the key to this Orange-Honey Baked Salmon which is quick and easy to make, tastes absolutely wonderful and would be a great choice for a dinner party. In a large baking dish place the salmon fillets. Season each fillet with salt and pepper. In a small bowl mix the orange juice, orange zest and honey. Divide the mixture on top of the salmon fillets. Then top each fillet with 1 orange slice. 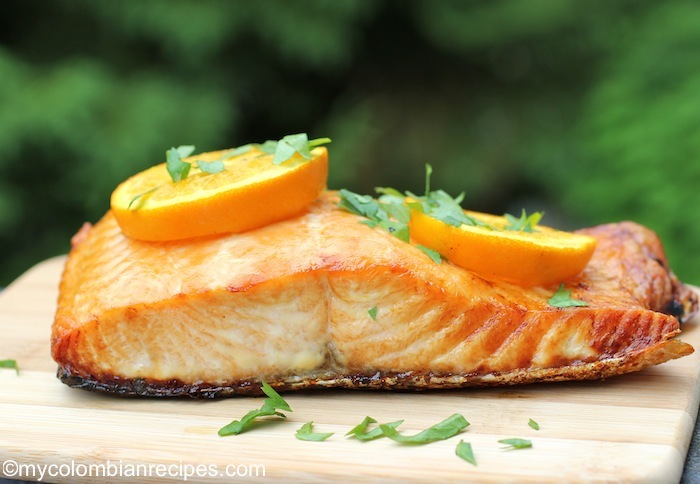 Place the baking dish in the oven and bake for 15 to 20 minutes or until the salmon is cooked through. Sprinkle with fresh parsley and serve. Simply delicious!! Looks very scrumptious!! i looove salmon!! this combination sound wonderful!! yumm!! i shud giv a try sometime sooner!! Never tried salmon or any other fishes with orange zest. Sounds great! 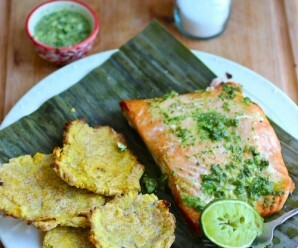 That looks so delicious, I will definitely do this recipe next time I have salmon, we just did it a few days age with lime and butter, I agree salmon recipes should be simple! This is excellent! 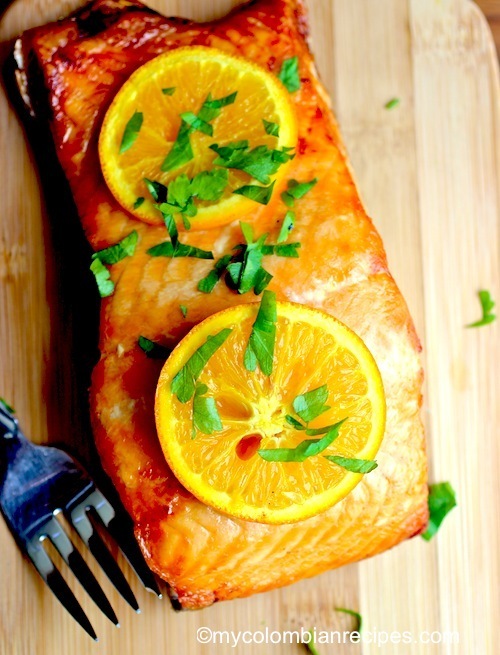 I like that you topped the salmon with a slice of orange – great flavors and looks gorgeous! 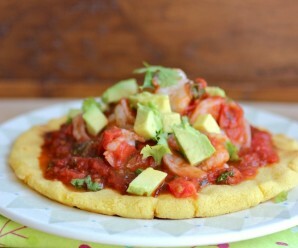 I have made a similar recipe as this & your version looks so tasty!! I baked the salmon in a foil tent. It was delicious! Thank you. I usually combine honey, melted butter, and dijon mustard and brush it on the salmon. Oh, with a squirt of fresh lemon too. That’s also easy and delicious. I made this for a special date (in) with my guy and it was very yummy! I added some finely chopped garlic and it was super. Thanks you! This was amazing! And so simple. I covered the salmon with foil. Didn’t have parsley, but did not miss it. Tried it for a party, and it came out lovely! Was appreciated by all. Didn’t have parsley, but it was still awesome. Just made this tonight. 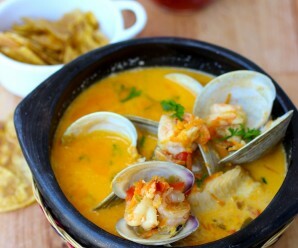 Simple and sweet citrusy sauce. I used orange blossom honey which gave it a little extra orange flavor! My salmon was a little thick so it took an extra 10 mins to cook but otherwise very nice!